Love, Simon takes the tenth place in the list with its undeniably adorable story. 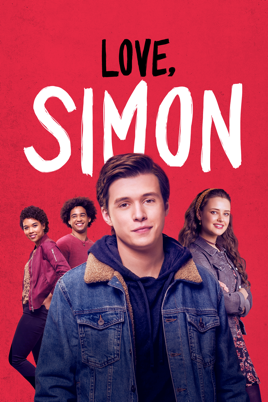 Released in March, the movie depicts the story of Simon, a young boy who is secretly gay, and his budding relationship with another gay student at his school. The catch is neither of the two boys knows the other’s identity. Beautifully representing the conflict with sexuality around the world, the rom-com took the hearts of many teenagers, spreading awareness at the same time and stealing the last spot on the top 10 movie list. 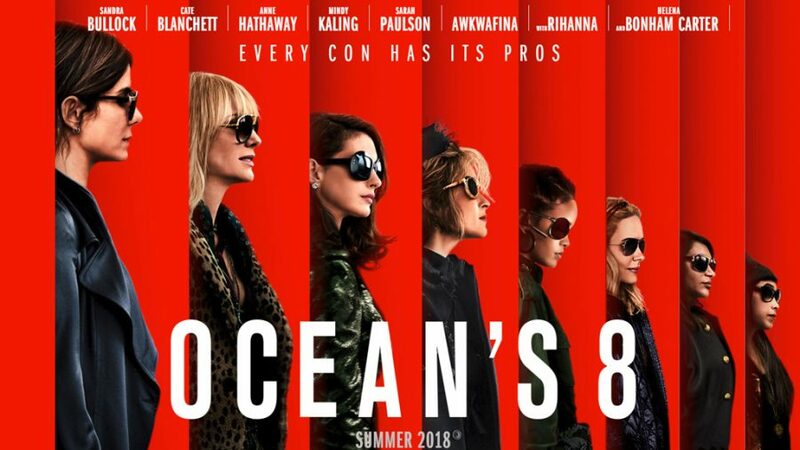 Moving to PG-13 movies, Ocean’s 8 took ninth place as it surprised audiences with a fun and diverse cast, drawing in viewers. Director Gary Ross portrays the biggest heist of the series: the robbery of a 150 million dollar necklace. Though the film follows the hit movie Ocean’s 11, the new movie is marked as “fresh” by “Times of India” critic, Rachit Gupta, because of its female-dominated cast. The cast includes many familiar faces, such as Sandra Bullock, Cate Blanchett, Anne Hathaway, and even pop singer Rihanna setting the stage for even more all-female movie ensembles to come. Eighth place is awarded to Incredibles 2, one of the few animated films that came out this year. 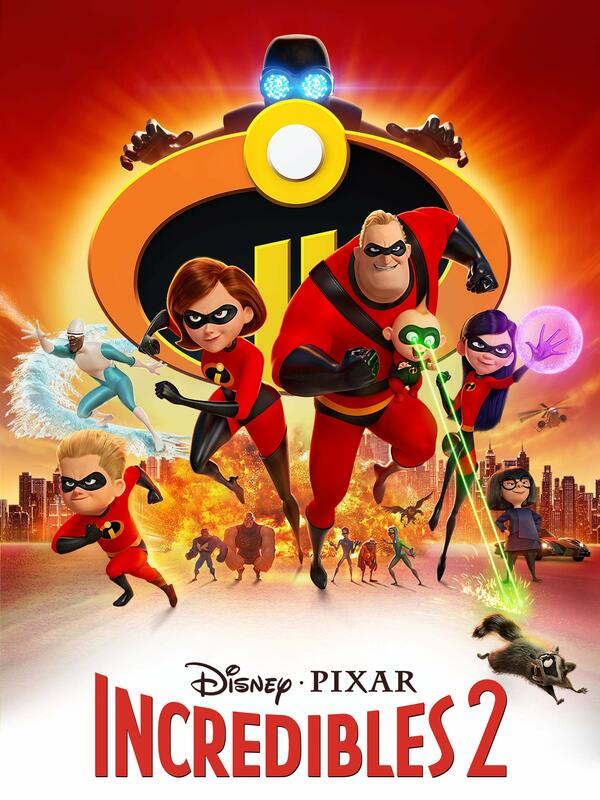 The animation, a sequel to the first major hit, Incredibles, released in 2004, is about a family of superheroes who have to fight crime and protect their identities at the same time, all while living their regular family life. The first movie, grossing about $633 million worldwide, impressed all ages and kept the audience reeled in for the second which brought about $1.243 billion to the box office, clearly satisfying fans. 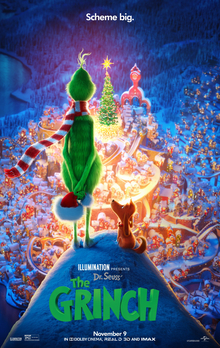 The Grinch, a Christmas animated movie, made the list at seventh place, despite being debuted on November 9th, 2018. The animated film tells the story of the Grinch (Benedict Cumberbatch) and his scheme of stealing Christmas. The holiday favorite is fitting for the whole family, especially bringing out laughs from younger viewers. The comedy ended 2018 on a holly, jolly note, making about $341.1 million in the process. If you’re still in the Christmas spirit and wanting a few laughs, The Grinch is still in theatres, so check it out on the big screen while it lasts! 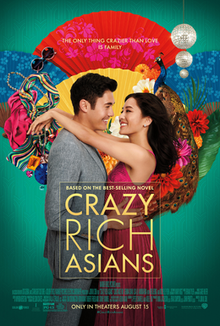 One of the best romantic comedies of the year takes sixth place; Crazy Rich Asians tells the story of a young Asian woman who realizes her boyfriend is one the son of one of the wealthiest families in Singapore – as well as one of the most eligible bachelors – and has to compete with the rest of Asia to fully claim her boyfriend. The film intrigued many audience members with its Asian cast dominance; in fact, according to “Wall Street Journal” critic, Joe Morgenstern, Crazy Rich Asians “was the first major studio film since ‘The Joy Luck Club’… in which an Asian filmmaker has told an Asian-American story with Asians in all of the leading roles.” Released on August 15th, 2018 and grossing $238.6 million, the movie marked a fantastic end to the 2018 summer. 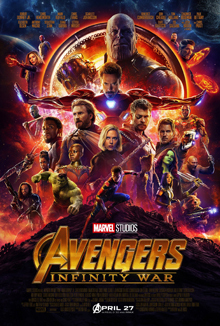 A fan favorite, the newest movie in the series that started a decade ago Avengers: Infinity War is ranked number five. From the start, the series has been a huge rave, and the newest movie’s increase in adventure and thrill earned it $2.049 billion in the box-office: the highest amount on this list. The film brings back the team of superheroes, the Avengers, as they fight their most powerful enemy yet – Thanos- who threatens to wipe out half of the population. The film’s cliff hanger definitely left some mixed feelings in the audience but included an eagerness to know what happens next, setting the stage for the next and perhaps final film of the series: Avengers: End Game. Staying on the superhero topic, number four belongs to Aquaman, the last film released in 2018. In only two weeks of being played, it earned a whopping $482.8 million. 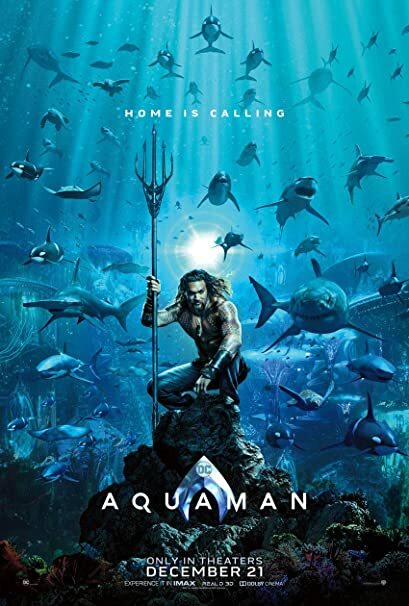 The story is of half-human, half-Atlantean Aquaman (Jason Momoa) and his journey to bring the two worlds Atlantis and land together as he battles everyone to become the rightful king of Atlantis. Though the plot isn’t anything new, the magnificent cinematography and photography capture the film’s essence and are the main factors that bring it the top of the charts. Counting down to the final three, A Quiet Place earns bronze for its thrill-seeking storyline and talented group of actors. The dramatic movie grossed about $340.7 million, while only having a budget of $20 million – that earns a serious profit. 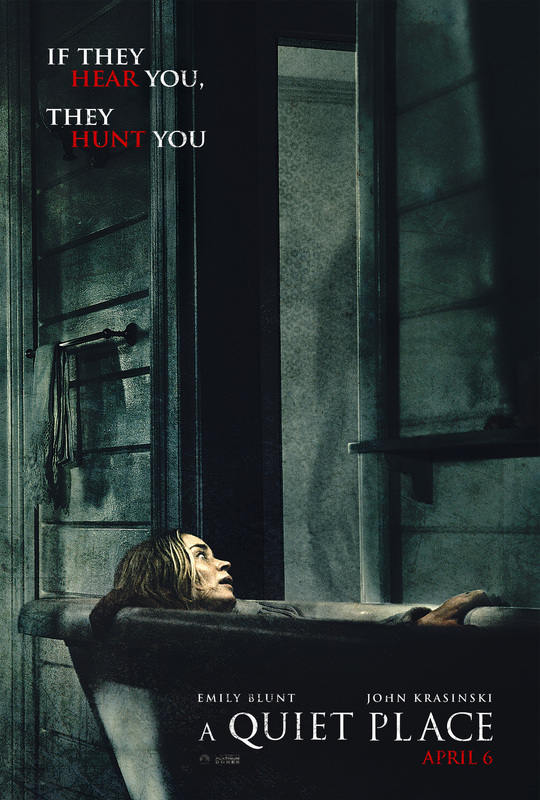 The suspenseful film stars husband and wife duo John Krasinski and Emily Blunt and is also directed by Krasinski, who tells the story of a world where everyone has to live in silence because of hypersensitive creatures who attack anything that makes noise. The Abbott family realizes the one flaw these monsters have and proceed to use it against them as they hope to rid the world of them. One small problem, they have to do everything in utter silence- or else. 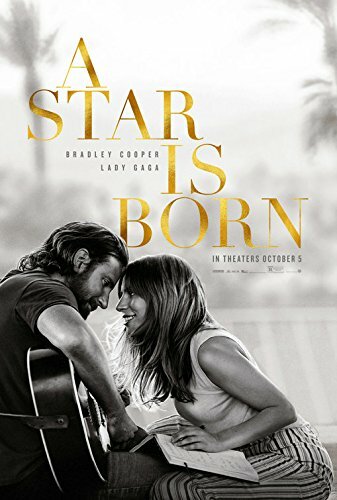 Second place is reserved by the phenomenal film A Star is Born, the highly anticipated story featuring the sensational pop singer Lady Gaga and seasoned actor/director Bradley Cooper. The movie describes how a struggling singer is brought into the spotlight with the help of a famous musician and the obstacles the two of them go through during their time together. The highly acclaimed picture earned its spot as number two because of many reasons, but mainly because of how Cooper managed to portray the emotional story through the heartwarming music and incredible acting and vocals of Lady Gaga and himself. In addition to the film making about $382.7 million in the box office, it took home numerous award nominations and wins including a win for Best Original Song in a Motion Picture at the Golden Globes, as well as eight Oscar nominations. Last but definitely not least – or in this case, first, Black Panther tops the list and takes the title of the best movie of 2018. The film made in the Marvel Avengers series captivated audiences with its different cultural concept. The film takes place in Wakanda, a technologically advanced city in Africa, which is unknown to the rest of the world, and tells of the story of two men battling one another to be the rightful king through facing dangerous trials, yet trying to preserve the safety of their people. Black Panther is the first Marvel movie that stars an almost all African American cast – from the hero of the movie, Chadwick Boseman, to the villain, Michael B. Jordan, and Letitia Wright who serves as a role model to young African American girls. The film not only earned $1.344 billion in the box office, but it also earned 10 prestigious and popular awards and was named the ninth highest grossing film of all time. The incredible film rightfully takes the top spot as the best movie of 2018.